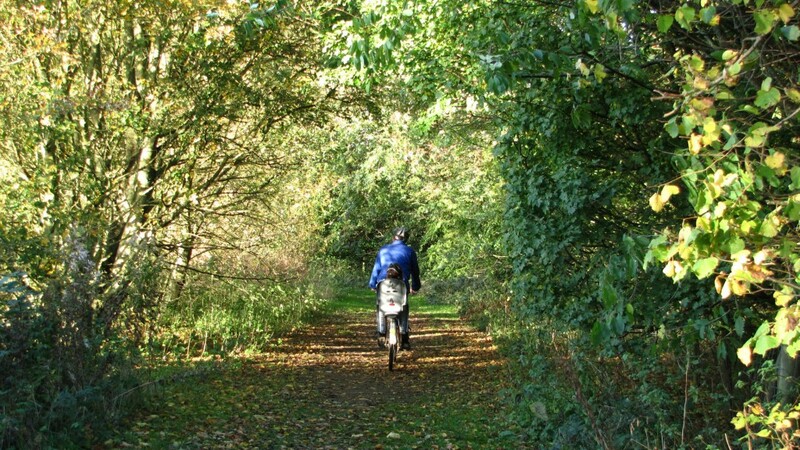 There are many Cotswolds cycling routes to explore on the Lower Mill Estate and in the wider Cotswold Water Park. The Thames Path also passes through the Estate and much of it can be cycled along. The Water Park is flat so perfect for little legs on bikes without gears and for parents with children who are hitching a lift! Bring your own bikes, or rent one on the estate. The Lower Mill Estate is a gated community with access by key code, so there is limited traffic. There is a speed limit of 10 miles per hour, with pedestrians having priority. Some of our guests have learnt to cycle during their stay at Daisy Chain. Micro scooters are also very popular with guests and make the 3 minute walk to the ArtSpa even quicker! 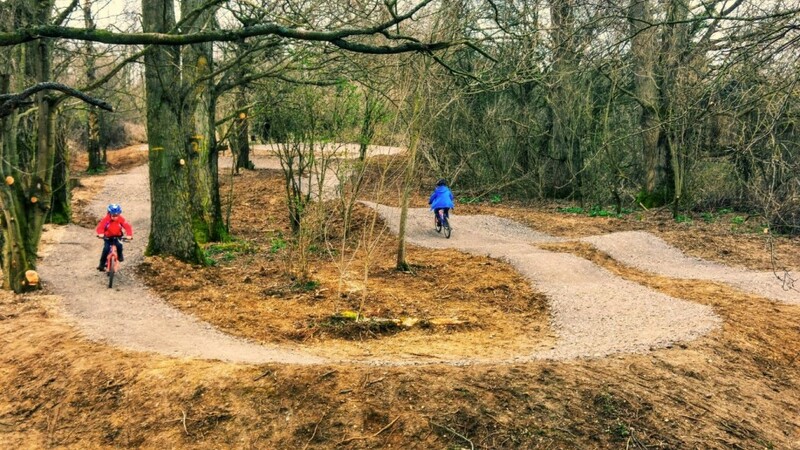 The recently built Cycle Track on the Lower Mill Estate is perfect for budding off-roaders. Situated between Somerford Lagoon and Farmhouse Lake, it is really accessible and a great addition to the Miss Mouse Trail. The Cycle Track is a double loop with plenty of banks and bumps to challenge bike handling skills. Our first outing to the Cycle Track was met with whoops of, ‘This is Epic!’ The cycle track is not for new cyclists – our experienced cyclists aged 7 upwards really enjoy it. 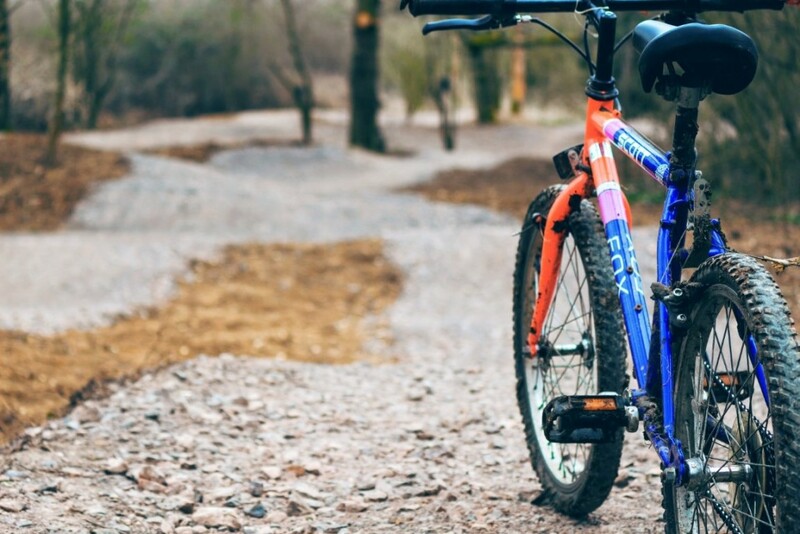 Cycle helmets are a must and protective clothing is strongly recommended – gloves work well for protecting hands that come into contact with the rough surface.